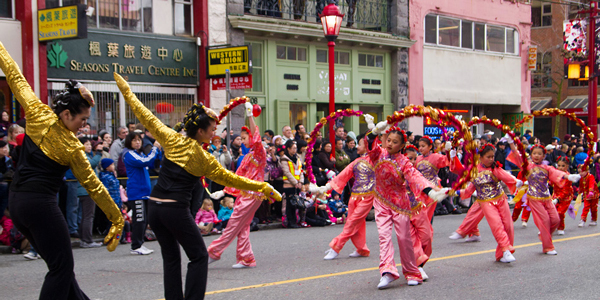 Certainly one of my favourite events, the annual Vancouver Chinese New Year Parade, is one of the largest annual parades in the city. The parade closes car traffic on E. Pender and Main Street and draws over 50,000 spectators. 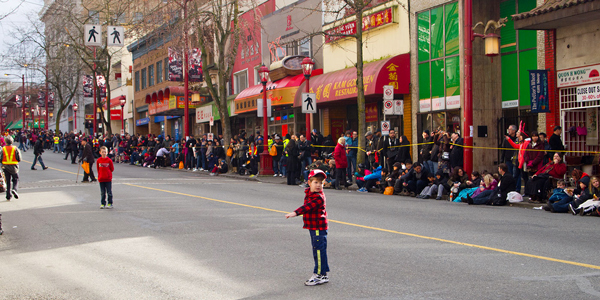 The 2014 Vancouver’s Chinese New Year Parade starts at 11:00 am on Sunday, February 2nd, 2014, and takes two and a half hours to complete. 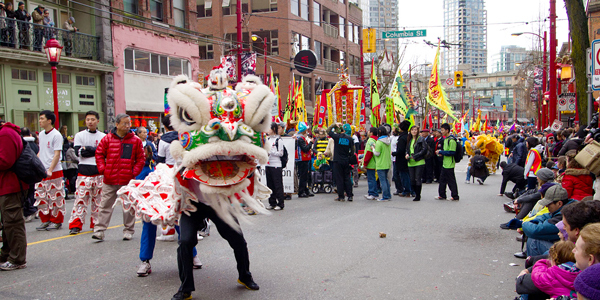 The 1.5 km parade route winds through Vancouver’s historic Chinatown, starting at the Millennium Gate on Pender Street (between Shanghai Alley and Taylor Street), proceeding east along Pender Street, turning south onto Gore Street, then west onto Keefer Street before ending at Keefer and Taylor. If you want to feel like you’re in the parade, get there early, maybe even two hours early, find a ringside location either side of E. Pender St between Main St and Columbia, wait and you’ll have a great time, get handed out sweets by Vancouvers politicos including Mayor Robertson, and have a great view. Along with the Parade, there are also lots of New Years festivities in the neighbourhood. 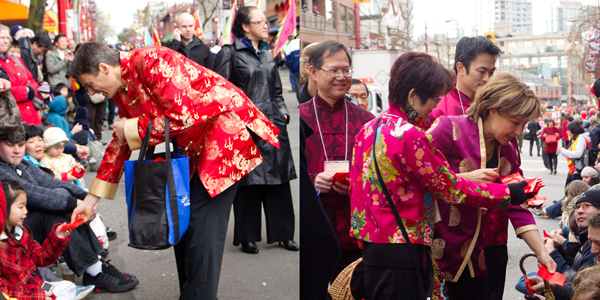 Chinese New Year is a vibrant time for Chinatown. 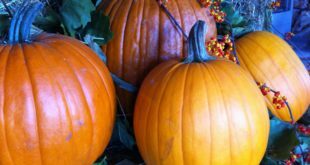 It reminds us how important the community and neighbourhood are. 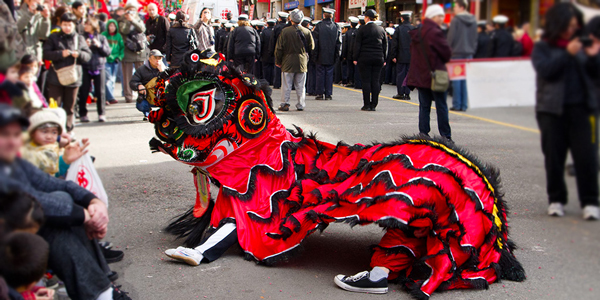 Year of the Horse Temple Fair at Dr. Sun Yat-Sen Chinese Garden 2014 at Dr. Sun Yat-Sen Classic Chinese Garden (50 East Pender Street) on Sunday, February 2nd, from 10 am – 4 pm. Celebrate the Lunar New Year at the Dr. Sun Yat-Sen Classical Chinese Garden as the Garden presents a special “The Year of the Horse Temple Fair”, a “Hot and Noisy” (re-nao) public event that’s based on the Spring Festival temple fair where people entertain, trade, greet, celebrate and pray for a prosperous new year. The Chinese Word “Re Nao” is often used to describe the “hustle & bustle” of crowds on the street. 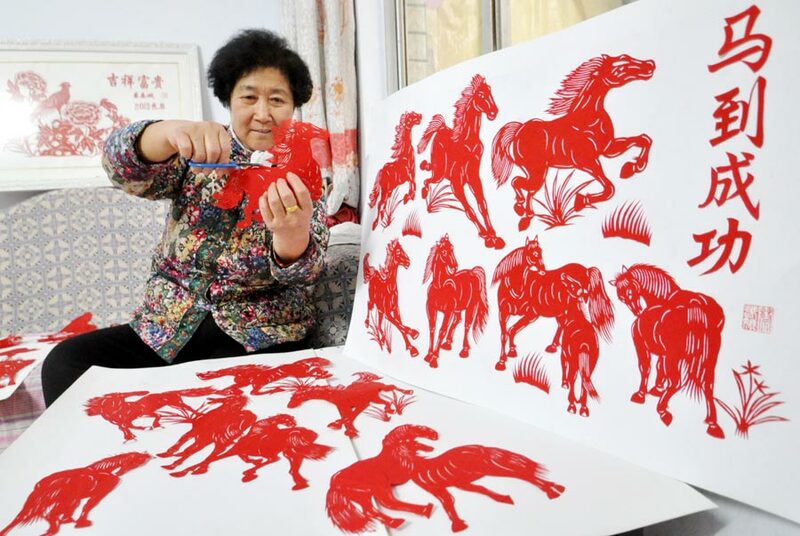 All around the world, the Chinese Lunar New Year is one of the most exciting and colorful holidays. 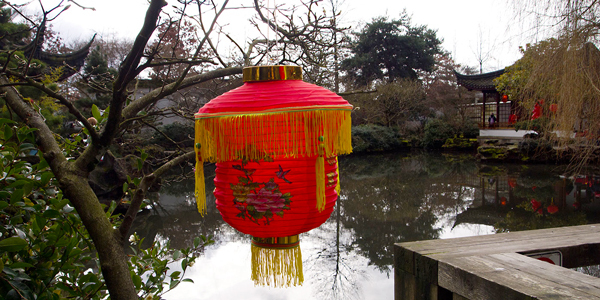 Families and individuals come together to wish each other fortune, prosperity and good health. 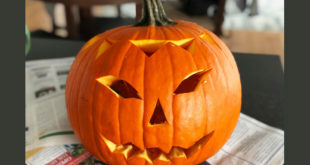 Admission by donation ($5.00 donation suggested). Always plenty of Dim Sum to try at the annual Chinese New Year Banquet at Floata Seafood Restaurant, but Vancouver Chinatown Still Satisfies Traditional to Trendy Food Hunger lots of great street eats too! 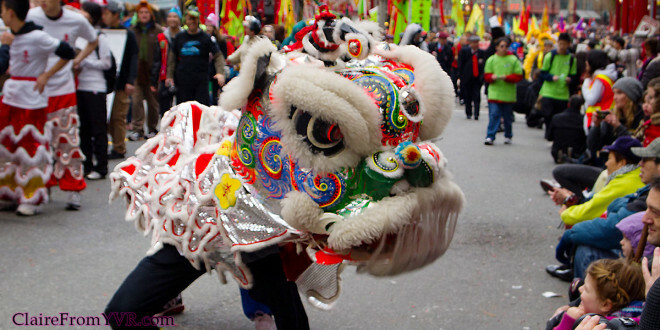 Chinese New Year Festival is a great occasion in china celebrated by its people and worldwide.